Google has recently launched a new app for Indian users from where they can Order Food and Home Services of their locality online from home. 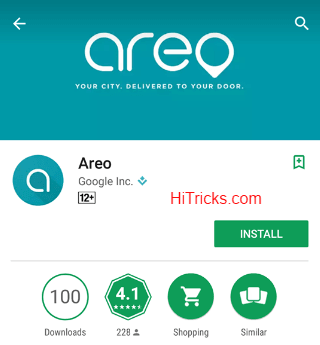 This app is named as Areo, and is currently available only for Bangalore and Mumbai, but will soon be expanded to other cities as well. Google Areo is the 3rd product in a row which Google unveiled for their Indian users, after the YouTube Go service, which allowed users to share videos without the internet; and the Google Play Music All Access Subscription, which makes it possible to stream music online, competing with Gaana, Hungama, Saavn, etc. It seems Google will be a major competitor in the sector of food services as well. While we had some good amount of food ordering apps in India, the most popular being Zomato, we didn’t have a safe and reliable Home Service app yet. 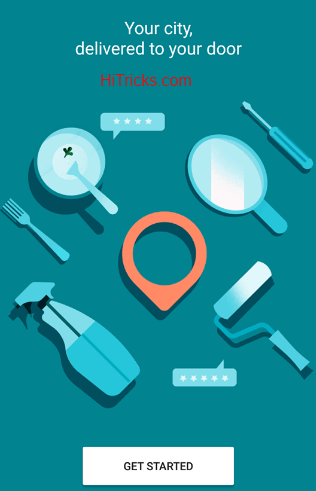 Private Startups like Zomato are trying to provide home service in selected states, but an open source platform which can list local services was not available till now. 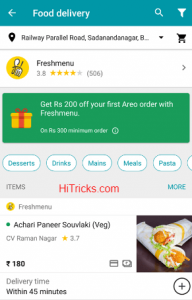 Google Areo is the first app of its kind that offers so many features into one. Not only it lists the local food stores or home services available, but it also has a dedicated space from where you can order food or order the service for your home. 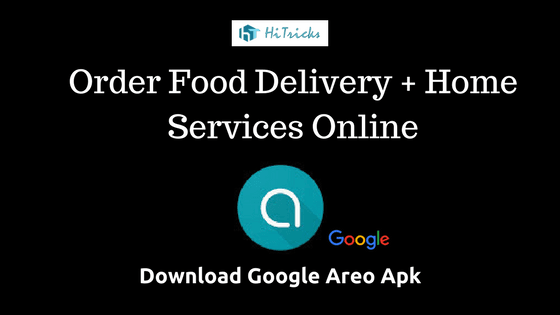 Google has partnered with a variety of service providers on Mumbai and Bangalore to offer their services via Areo app. Zimmber and Urbanclap were amongst the popular ones. It was reported that Google isn’t charging any tax or percentage from these merchants who signed up to provide their services online. This is helping both Google to get more and more merchants on board, and it is helping the companies to get more exposure. As a user, it will benefit you as well as you will be getting a rich collection of services. With a vast range of services, you are most likely to get everything you may want. Install and Open App. You will find the Get Started Screen. Click on it. You will be asked to choose your location and address. Based on the location you choose it will show you local services available to you. Food Ordering with Google Areo is smooth. 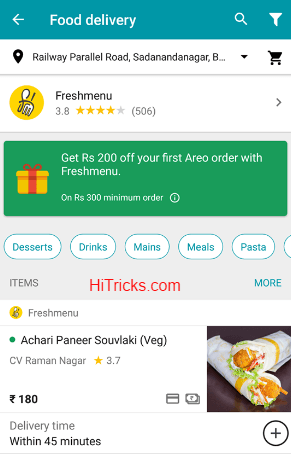 Once you click on the Food Delivery section of the app, it will show you the list of food providers like Freshmenu, Box8 and Fasoos. Below that it will show the list of food items, you can order. The foods are listed with a picture of the item so that you can see how it will look before ordering it. Once you add your food item to the cart, you can check out quickly and complete your order in a hassle-free way. 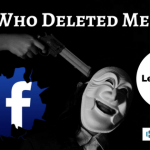 You can keep your address saved for future purchases. 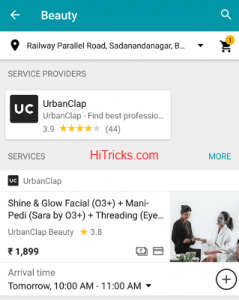 A bunch of other services are offered via UrbanClap and Zimmber, which can be found inside the app. For example, you can call a beautician at your home via UrbanClap. From the app itself, you can choose the arrival time. And the beautician will visit your house. For payments you can use your credit card or debit card, else you can also opt for Net Banking facility. The overall user interface is smooth and refreshing having a material design, the usual trend of Google. Well, the Areo platform is undoubtedly beneficial for users and merchants both. 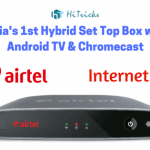 The implementation will be successful only if Google can bring most of the offline companies online. Also, it remains to see how the service quality stays in the long run. Eventually, that will be the big determining factor whether people choose to use the app or not. That’s all. Thanks for reading my post on Google Areo. I hope you have liked it. Now try out the app and let me know your feedback in the comments section below. Have friends in Bengaluru or Mumbai? Then don’t forget to share the app with your friends on Facebook and Whatsapp. Use the social share buttons. I will soon be back with another exciting update. Till then, stay tuned!